THQ plans on taking it uDraw peripheral to more consoles this coming Holiday season. The developer has announced that the uDraw GameTablet will be available for both the PlayStation 3 and Xbox 360 later this year. 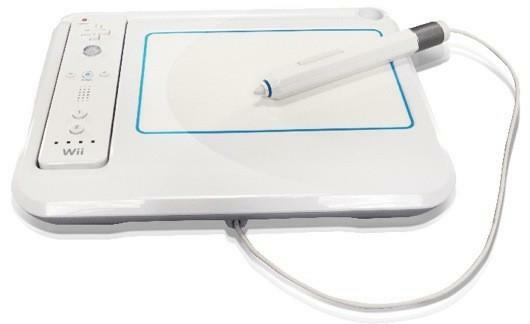 The device, which was released for Nintendo’s Wii back in November, allows gamers to interact with software via a tablet style device; players can draw and manipulate on screen images using the device and its stylus. THQ has been releasing a line of games designed exclusively for the peripheral including a Pictionary title as well as SpongeBob SquigglePants. The device has shipped close to 2 million units to retailers since its launch a few months back and THQ hopes that success will continue on the HD platforms later this year.